Alright! We’ve been following up with our orientations and have brought you a snapshot of some of what happens at this event! 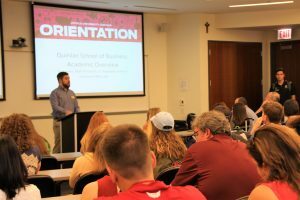 Those who have not had orientation yet but will soon this summer, take some time to read the last blog I did on orientation for a thorough description. Then, come back to this blog to enjoy some pictures! 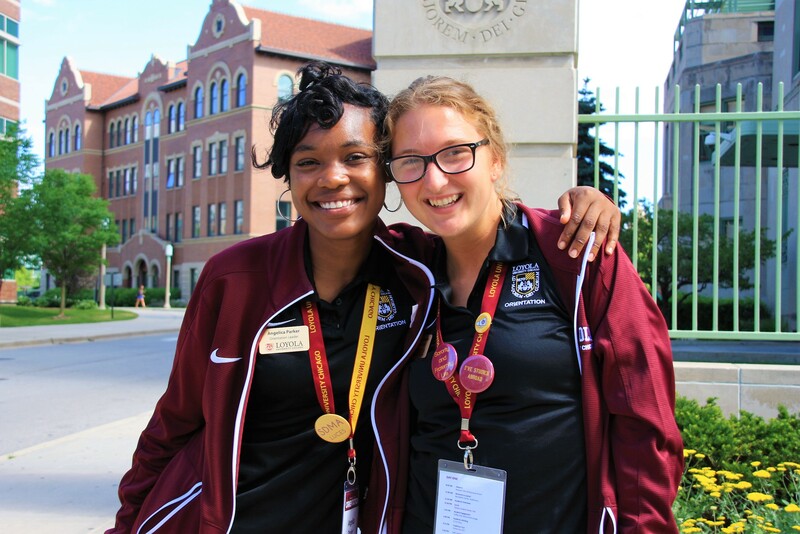 This year, we’ve got some of the most enthusiastic and amicable orientation leaders ever! 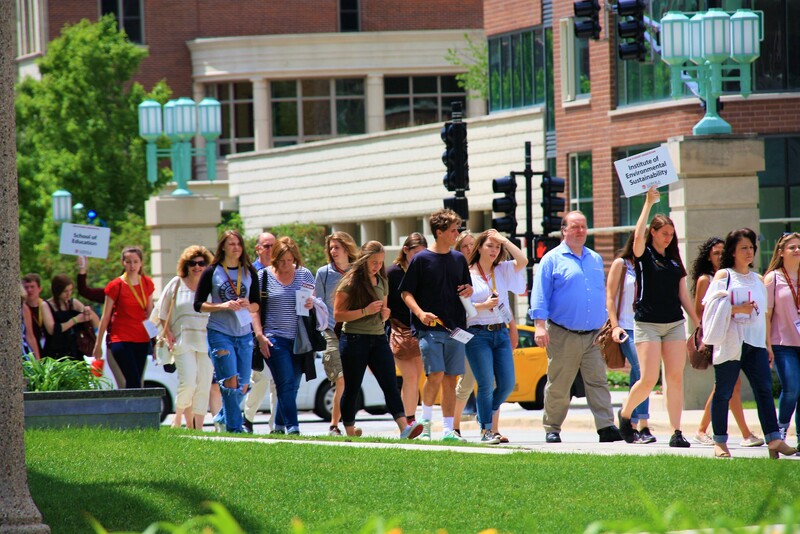 They have spent a lot of time to prepare for you to get acquainted with others and especially the campus. Orientation is designed for you to get to know others. It is better to do some adventuring and meet-and -greet stuff now because during the actual school semester, things will be very busy. Nevertheless, when you attend your orientation, relax! Nervousness is common, but make sure to leave room for fun and socializing! 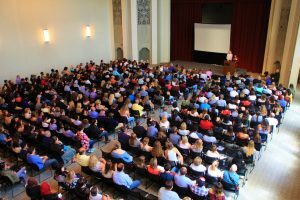 The transition from high school to college may be a great leap forward in your life, especially if you are a first-generation student. I know for me, the thought of going though this experience was quite exciting, but scary doing this all alone. 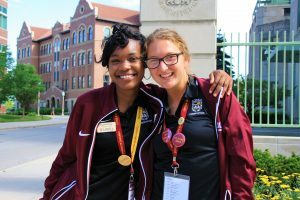 I knew no one coming into Loyola University and did not know what to expect during my Orientation; quite visibly, I was anxious. But do not fret anymore- this time, you get to hear my experience and hopefully you will feel more ready for your upcoming orientation setting! 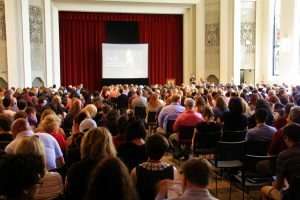 One thing I really appreciate about LUC orientation is that you get put in with a group of about 10 people and you stick with these people throughout the whole orientation session. There will be tons of icebreakers to help you get to know each other and 9/10, you will fine some sort of similarity among each other. Naturally, friendships will form–trust me. 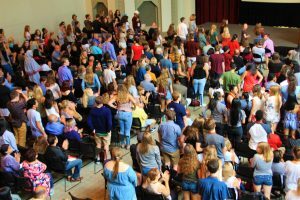 Groups are randomly formed and you get assigned to them, so there’s a HIGH chance no one in your group will know another person before orientation starts; with that being said, all of you guys will be on the same page of not knowing anyone or anything. In my own orientation, I met John-Michael, a great guy who had similar backgrounds as I did. For the rest of my orientation, it became more enjoyable to do activities with a buddy and therefore my experience became more enjoyable. 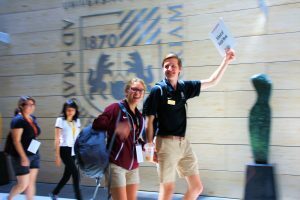 At orientation, you will get to explore most of the buildings on campus and meet your first-and-second-year counselor face to face. I knew I never saw my counselor in person before, so this became the perfect opportunity to do so. Plus, your counselor will be your UNIV 101 teacher for the fall semester! In your one-on-one meeting with your counselor, you will go over what classes you want to take and other questions you may have before you register for classes. Class registration happens DURING orientation, and luckily, your orientation leader and counselor will be present with you if you may have difficulties in the process. All food is covered by the school- Woohoo! You will get to go into a dining hall and try out all the foods that is offered. For breakfast, lunch, and dinner, there is a variety of foods to eat and tons of options if you may be vegetarian or vegan. Best of all, the dining hall is a buffet style, meaning that once you enter the place, feel free to eat as MUCH food as your stomach desires! Again, you’ll sit with your orientation group of 10(ish) people, so enjoy your food with the comfort of familiar faces! Since this is a 2-day event, obviously you will get to dorm in one of Loyola’s dorm rooms. 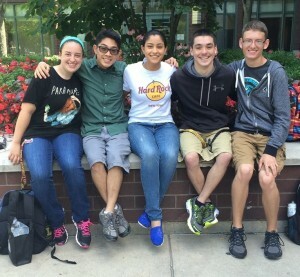 See what staying overnight in a college is like, before the actual semester starts with all of the activity in the halls, streets, and campus. 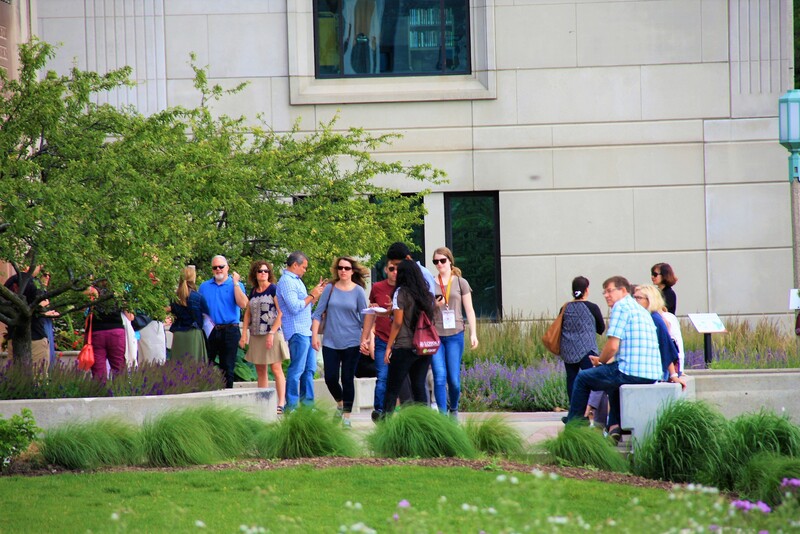 Hang with your new friends in the common rooms, play games, talk to each other, or do some more exploring of campus on your own with a couple of friends. 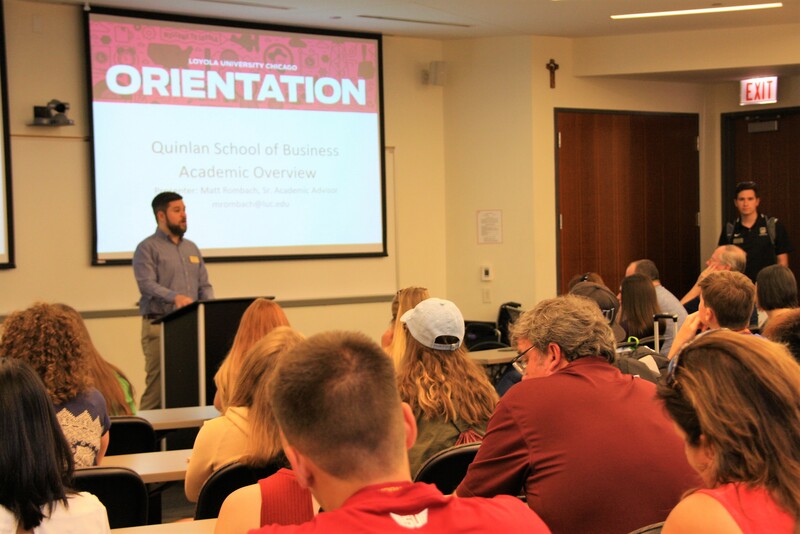 All in all, this orientation is mandatory, and it is quite essential for your transition from high school to college, very smooth and comfortable. 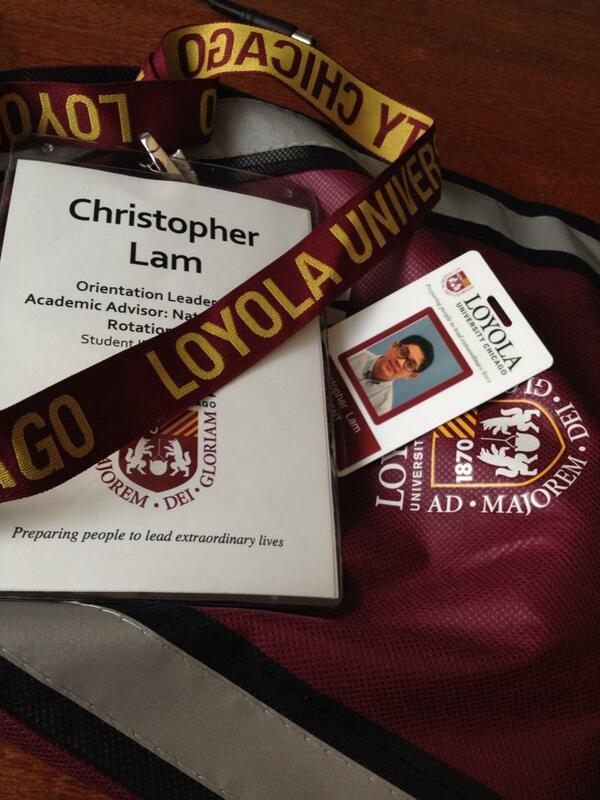 Initially I thought it was scary, but very soon, things got better and I got to know Loyola in a totally new light. My advice to you would be to keep an open-mind and get open to others. Take opportunity of these event because now is the time to make friends, because everyone knows no one. For me, knowing John-Michael was one step to knowing others. 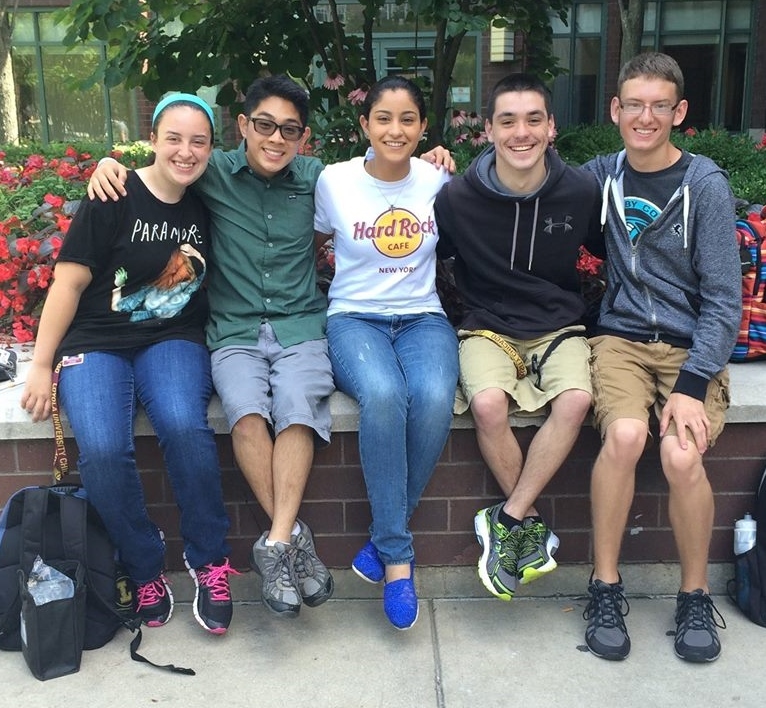 By the first week of school, the network of friends grew and grew. Still to this day, 3 years later, we are still very close friends looking out for each other. I hope this helped you, even a little bit, understand what orientation is typically like. Hopefully, if you are anxious or nervous about this, this helps you mentally prepare for what is to come when you have your orientation. When everyone heard of the new Trump/Devos educational budget, all covfefe broke lose. I’m pretty sure the word, “covfefe, ” is one of my favorites now. Politics was never an interest of mine growing up. It was rather a bland topic and a subject I was not really strong in, in grade school social studies. Even in high school, I was pretty sure AP US History was the moment I knew politics and U.S. government and history was NOT my strength. Since the presidential elections in 2016, I have been quite interested in politics for obvious reason. Never in recent history have we ever had an election like this and candidates that stir up things like witches at a cauldron. I have been cautious of this particular administration because there are some things I disagree with, and many others including states and countries have similar stances. For a millennial, like myself, and a student, I find it challenging to find enough support to get by with education. As you may or may not know, I am a first-generation, low-income, and minority student growing up in a single-mom household with 2 younger siblings. Yes, that was a mouthful, but under my circumstances that you know so far, we’re all affected in some sort of way with the changes that have been enacted or proposed by the government. Even at Loyola, we strive to create a community where we try to do our part to become eco-friendly by conserving water, recycling, creating biosoap, and more. We are a school that encourages diversity, respect of culture and religion, and no tolerance for hatred or segregation. 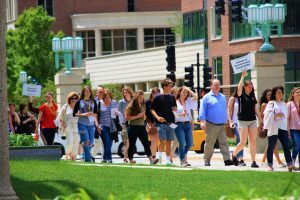 Less than a year ago, Loyola allowed students to freely protest on campus whenever they wanted and wherever they chose to do it. The education budget proposal and withdrawal from the Paris Accord are two things I know would be of concern to the students. If these things were to have happened during the regular school year, I am more than certain there would have been action and activity on campus. Nevertheless, the so-called “fake news” is quite engaging. I love listening to the debates among new reporters, Kellyanne Conway and Sean Spicer speak, and more. I listen to the rhetoric, the way they speak, how direct people are with their responses, etc. I think even you know its quite fun and interesting to watch/listen to all of this. Covfefe! I have no idea in the world what this word means, but it is entertaining and fun to use it in whatever way you want. On Twitter, people have become creative with this word– go check it out! Finally, I do respect everyone’s view on all of this. I know there are Democrats, Republicans, and everyone else in the spectrum, and I think it is good to have a civil and respectful conversation on politics. Like I said before, I am normally not the person who usually talks about things like this, but given the ongoing things in the government, it is nice to talk about something other than academics.